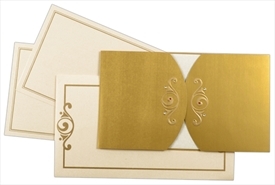 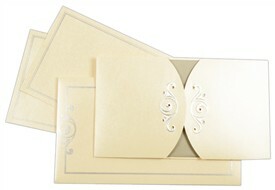 D-2825, Cream Color, Shimmery Finish Paper, Odd Shape Cards, Designer Multifaith Invitations, Card with Rhinestones, House Warming. 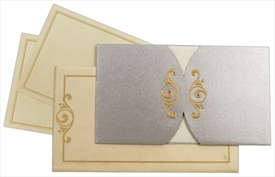 The front of this card has the door-open folds with embossed motif designs in silver that have been highlighted by rhinestones. 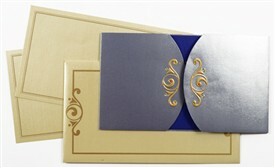 The inner jacket has a floral design in silver. 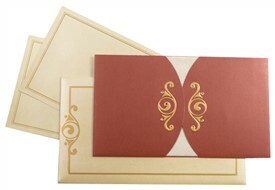 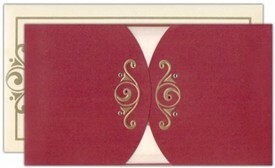 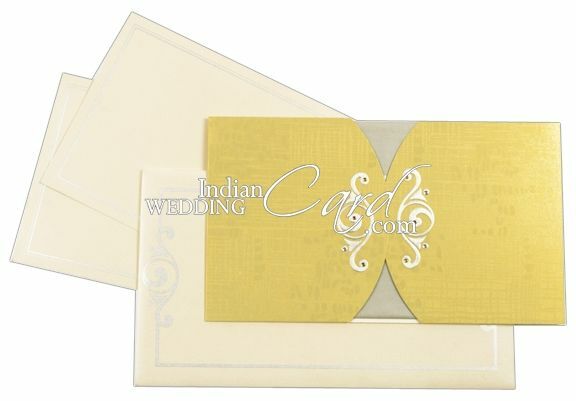 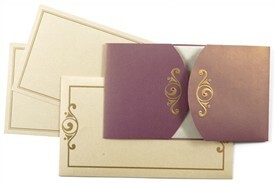 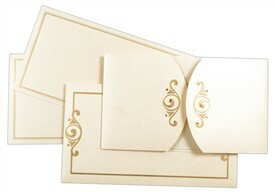 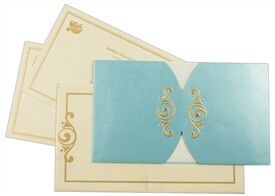 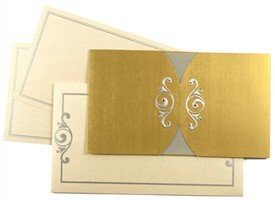 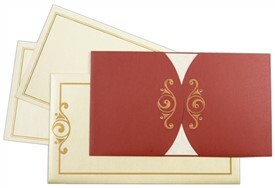 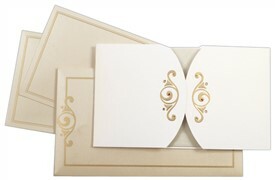 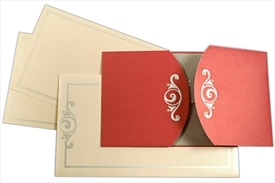 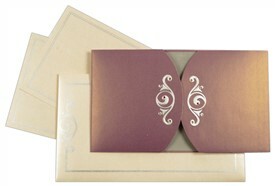 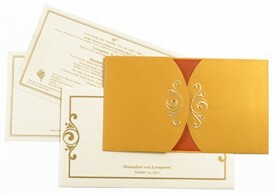 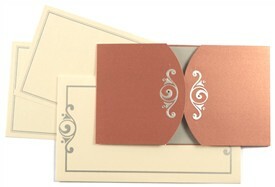 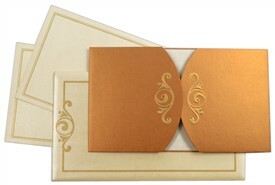 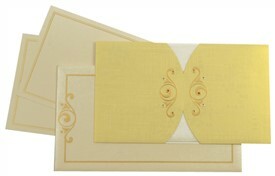 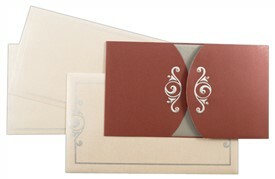 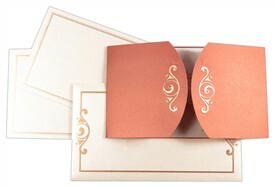 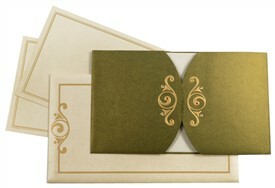 The inserts have silver borders and the envelope also has a border design with motifs similar to the front.